The pair got their break in Hollywood writing and starring in 'Good Will Hunting' and subsequently worked on a number of films together, but he felt they needed some time apart so they could both develop their respective careers. Ben, 40, said: "We wanted to have our own identities; this whole Matt and Ben thing was so strong it kind of upstaged whatever the movie was. "I think it's been long enough now, so we're about to do this movie together called Whitey, about this famous gangster [Whitey Bulger] in America. Matt's going to play him and I'm going to direct." 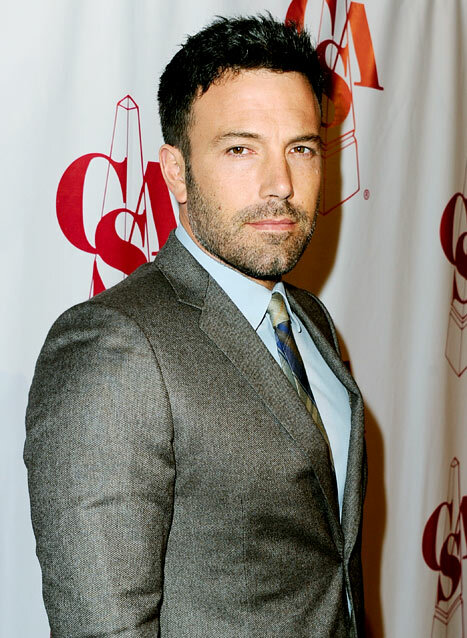 Ben has directed three films to date - 'Gone Baby Gone', 'The Town' and new spy thriller 'Argo' - which have all been critically acclaimed, and he says he's still terrified by the process of making them. He added to ShortList magazine: "It's probably anxiety, the terror that it's not going to be good - that keeps me worrying and working and staying up late and obsessing about it all night. "It's not particularly healthy, but I think it's helped make the movies better."